Todd Stevens began his career in February, 2002, when renting a 150 sq ft studio and his only equity was a $20,000 credit card bill. Since then, Todd has sold more than eighty townhouses and has sold and rented a total of 500 homes. 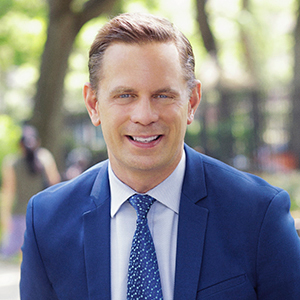 Todd was awarded Rookie of the Year for 2003 and has sold more Manhattan residential townhouses than any other New York real estate broker in the past fifteen years. He has been interviewed by the New York Times, The New York Post, New York Magazine, Gotham Magazine and WNBC. In recent years, Todd's non-profit endeavors have created an impact in the community. This past year, Todd was awarded Harlem Man of the Year at Harlem's largest annual non-profit, community-wide event, the Harlem Haberdashery Masquerade Ball. He also ran to represent Harlem within New York's City Council and it's his third year as the Treasurer for the Mt. Morris Park Community Improvement Association. His work with the MMPCIA includes overseeing three of the neighborhood's Halloween events, hosting the annual holiday gala and working with others to fundraise scholarship money for Harlem-based high school graduates seeking a post-secondary education. His greatest commitment to the community was volunteering 300 hours for the NYPD's 28th Precinct in Harlem as an Auxiliary Police Officer. Harlem's quality of life is important to him, especially as he lives in Harlem with his wife and child and he's lived and worked in the neighborhood for sixteen years. Todd has enjoyed the blessing of repeat clients with some rehiring Todd as many as twenty-five times. Todd works for clients, rather than for himself. He prides in not having a team, but directly servicing every client along with support staff. Other real estate agents recognize his efforts and he's been hired by fully active New York real estate agents ten times. He's captured the eyes of others with about 100,000 views on YouTube and almost 6,000 followers on his New York Townhouse Facebook page. With Todd's background in re-inventing neighborhoods, his nationwide presence and many years of teaching agents how to make smart decisions, you can trust him in achieving the best results each home has to offer. Contact Todd to rejuvenate today so that you can prosper even more tomorrow.